In preparation for a campus relocation, high school science teacher Lisa Hawkins realized there was treasure in the resource cupboard. Several months later, three boxes of valuable science videotapes had made their way from Taejon Christian International School in South Korea to Starehe Boys’ School in Nairobi, Kenya. 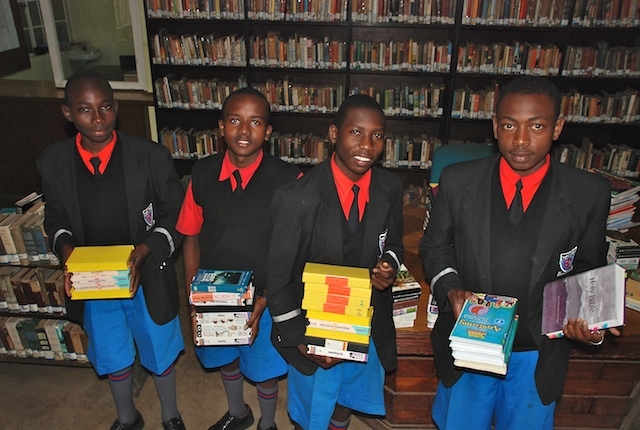 In fact, several boys who were on their way to science class on the day of the delivery helped carry the boxes into the Starehe library so the library staff could begin cataloguing the tapes. Thank you to Lisa and TCIS!